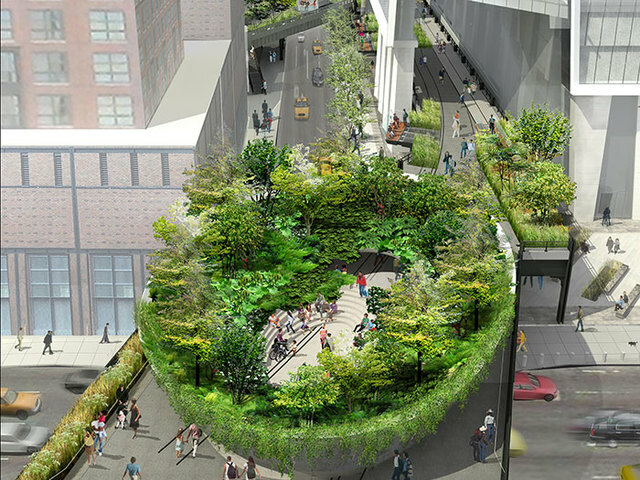 The High Line — an elevated park that runs across the lower west side of Manhattan — will be adding a large bowl-shaped structure filled with greenery. 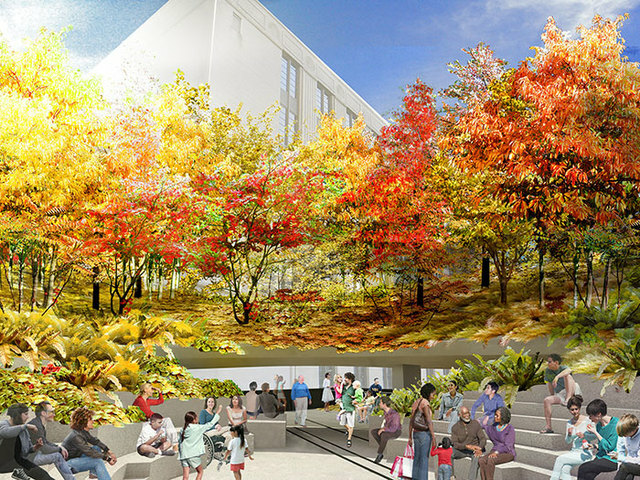 The Spur, as shown in renderings by James Corner Field Operations and Diller Scofidio + Renfro, will include seating and public restrooms. 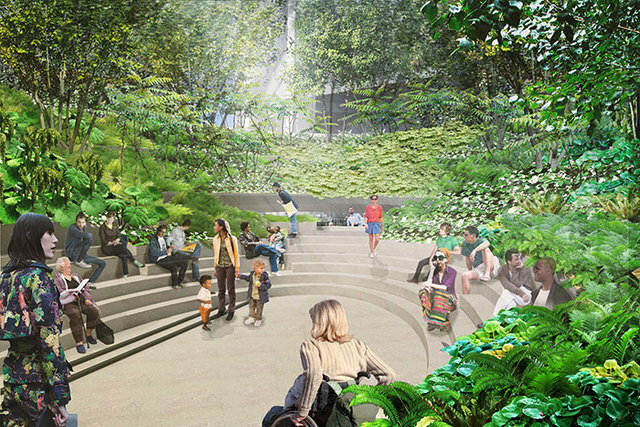 The Friends of the High Line hope to finish the third and final section of the park by 2014, but the bowl-like structure will likely take an additional year or two to complete.